Professor Qian has been responsible for many major Internet-related projects in China. He led the team that completed the initial Internet connection from China to the U.S. in 1994. That same year, his team finished the construction of China’s top-level domain, .cn, and served as the technical and administrative contacts for that ccTLD. 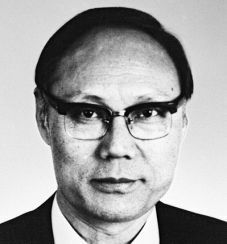 His team developed the first X.25 network in China in 1984, and the first computer-based Data/Voice/FAX system in China 1986. Qian also was a chief designer for the computer network and sports application system for the 11th Asia Games in 1990. Since 2002, he has served on an expert committee organized by China’s National Development and Reform Commission, promoting the deployment of IPv6 in China. Since 2007, he has been part of an expert group that monitors basic research projects supported by the Ministry of Science and Technology. He also is an editorial committee member for computing and networking-technology journals. Qian currently serves as Chief Scientist at China’s Network Information Center (CNNIC), Chinese Academy of Sciences; and is a member of the CNNIC Steering Committee.